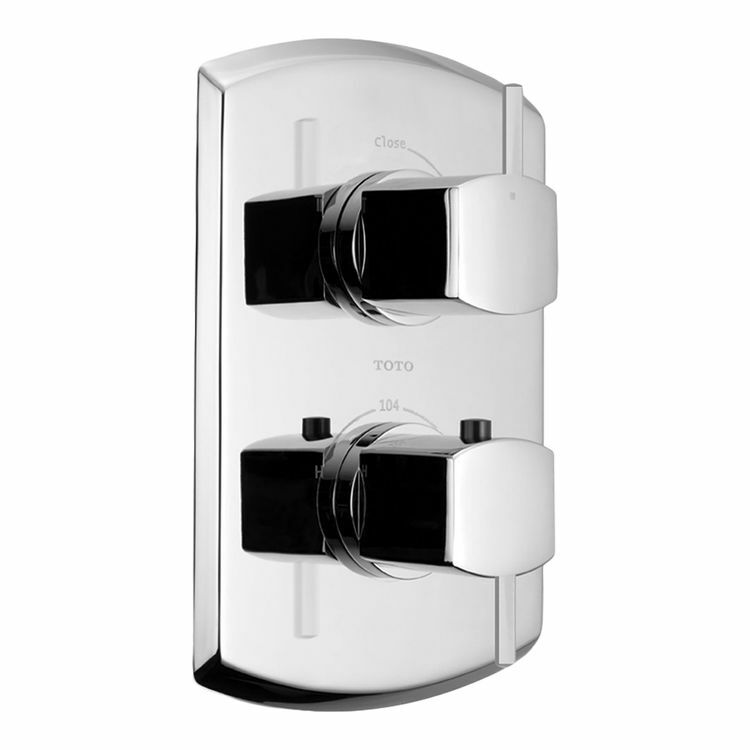 Toto TS960C1#CP Soiree Thermostatic Mixing Valve with Volume Control Trim with Contemporary Lines in a Polished Chrome Finish. Product conformity with ADA accessibility guidelines. TOTO's exclusive SMA (Shape Memory Alloy) Thermostatic Mixing Valve, features a nickel and titanium alloy coil which responds to temperature changes more quickly than traditional wax-type valves.